Today I arrived for work feeling excited. It has been a long time since I have felt that way. But I knew it was a matter of 9 hours and I would begin my first ‘two days off in a row’ mini vacation. The hours and minutes were slow but if finally arrived. For the next 62 hours I will be off work. 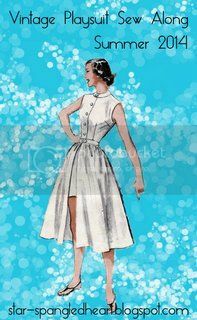 I realize that some of this time will have to be spent sleeping but I will try to make it as less as possible. I rushed to the store this evening and got a few items to get through the weekend. Mountain Dew is always first on the list, I need as much caffeine as possible, I had to get food for the cats, and grapes. I am now ready. 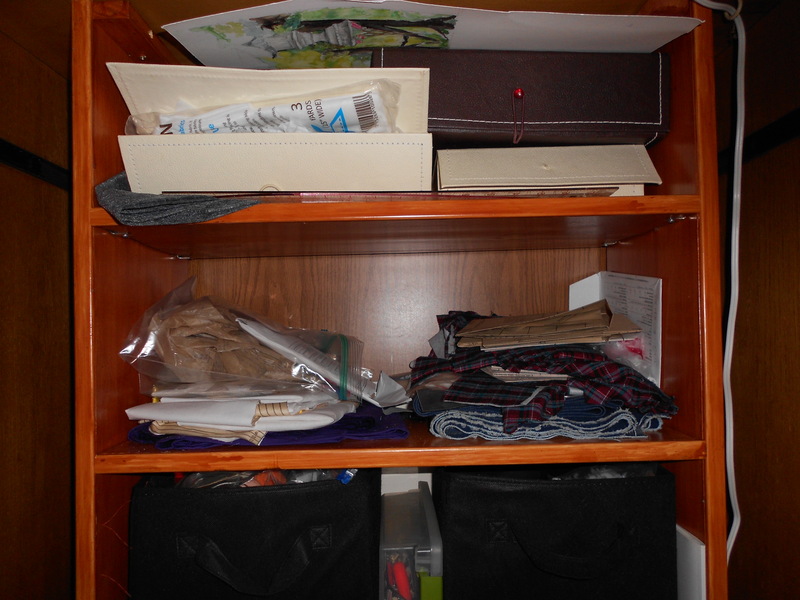 Hannah, from Made with Hugs and Kisses, had posted about her sewing space. That made me take a hard look at mine. It is a mess. I have decided to take the pledge. I could use some organizations skills and hope to contribute a few along the way. What does your space look like? 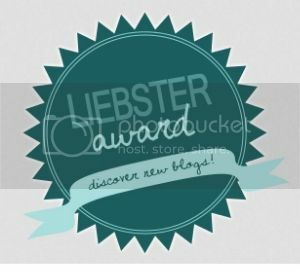 Ready for a little push to get it organized? 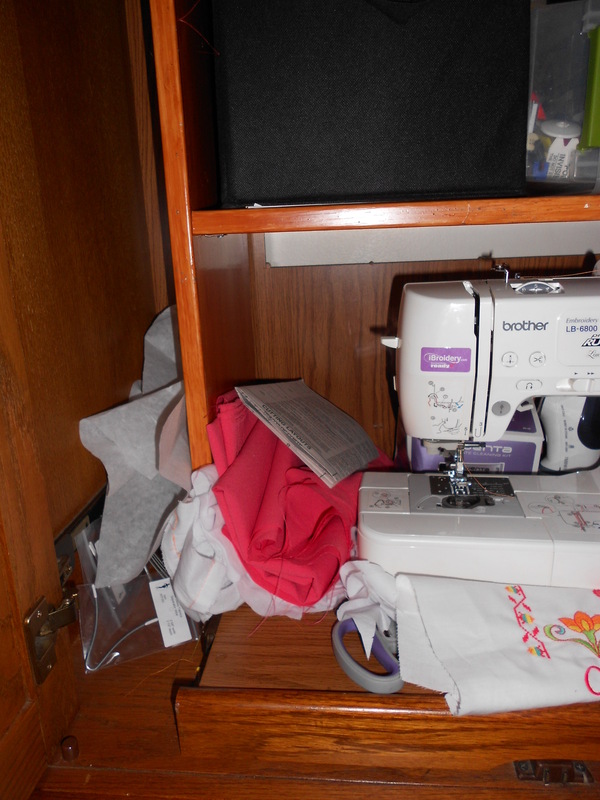 This is my sewing corner, my corner of shame, don’t judge. Chaos, from the beautiful picture that someone painted for me that is stuffed on top, still waiting on a frame to the interfacing hanging out of the boxes, I need organizations skills! Beside and behind my machine is more piles, projects that we are working on, notions that haven’t found their way into an over stuffed box, etc. 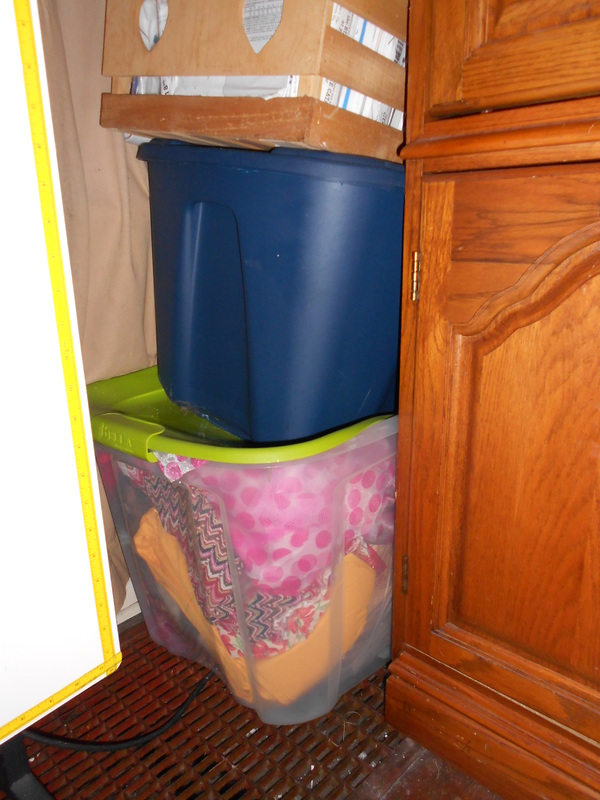 I can’t even remember what fabrics I have bought and stuffed in these bins. 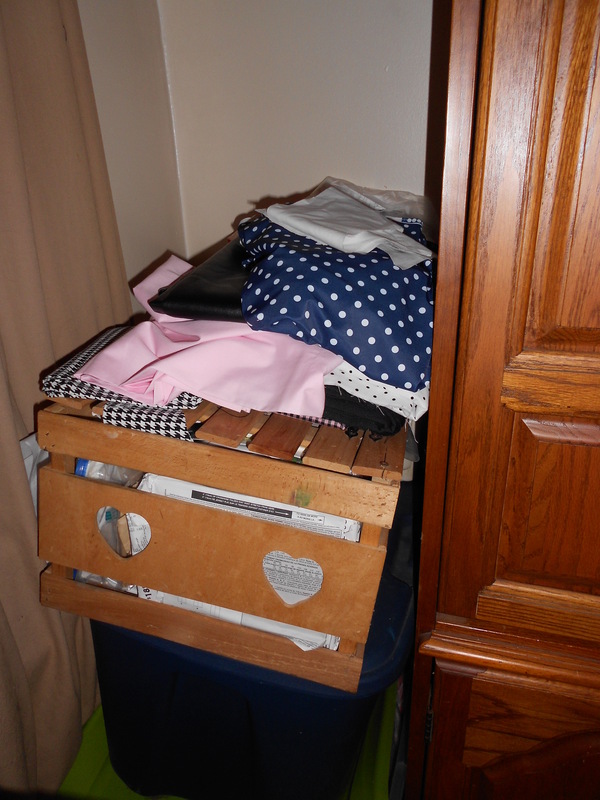 Cute bin but full of patterns, We won’t talk about the 4 large boxes that are stashed in a closet. 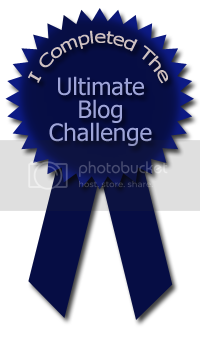 I realized today that I am almost done with the Ultimate Blog Challenge, only 5 more days! The challenge taught me a lot and for those of you that have stuck around I will be having a giveaway to celebrate. I will be posting them on April 30 so be sure to come back on the last day. April 26 – Brother LB6800PRW Embroidery and adding a design. Wow, April has gone by quickly!